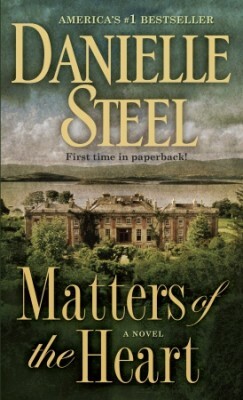 In this spellbinding blend of suspense and human drama, Danielle Steel tells a powerful and unusual story of one woman’s journey from darkness into light, as she fights to escape a mesmerizing sociopath who holds her in his thrall. . . .
Top photographer Hope Dunne has known joy and heartbreak, and finds serenity through the lens of her camera. Content in her SoHo loft, she isn’t looking for a man or excitement. But these things find her when she flies to London to photograph one of the world’s most celebrated writers. Finn O’Neill exudes warmth and a boyish charm. Enormously successful, he is a perfect counterpoint to Hope’s quiet, steady grace–and he’s taken instantly by her. He courts her as no one ever has before, whisking her away to his palatial, isolated Irish estate. Hope finds it all, and him, irresistible. But soon cracks begin to appear in his stories: Gaps in his history, a few innocent lies, and bouts of jealousy unnerve her. Suddenly Hope is both in love and deeply in doubt, and ultimately frightened of the man she loves. Is it possible that this adoring man is hiding something even worse? The spell cast by a brilliant sociopath has her trapped in his web, too confused and dazzled to escape, as he continues to tighten his grip on her. Danielle Steel delivers an unforgettable tale of danger and obsessive love, as she explores the dark secrets that sometimes lurk just below the surface of ordinary lives, writing about men and women and their courage to prevail even in the face of evil.